Call them gnomes or call them elves, these tiny helpers have been in folklore and myths for ages. Their stories of saving Christmas and protecting our gardens have passed from generation to generation. I remember when we were young; my mother had a few gnomes in the front yard. I couldn’t resist the urge to play with them, bowling them down with a football. It earned me quite the spanking back in the day. But, the very next day I would be back at it because I found them so irresistible. reminiscing about the good old days. I decided to make one piece for my mother just to remind her too. You should have seen the beautiful smile on her old grey face as I gave it to her and we shared stories. So gnomes can save memories too. 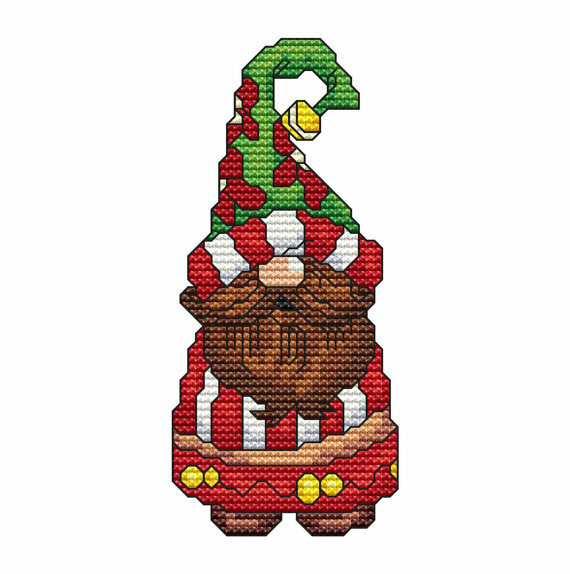 The Christmas elves cross stitch patterns comes as a set. Some short and some tall, others slim while others seem to have eaten quite a healthy meal. Either way, there is a whole variety of them. Five in total and they are just perfect for the Christmas holidays. 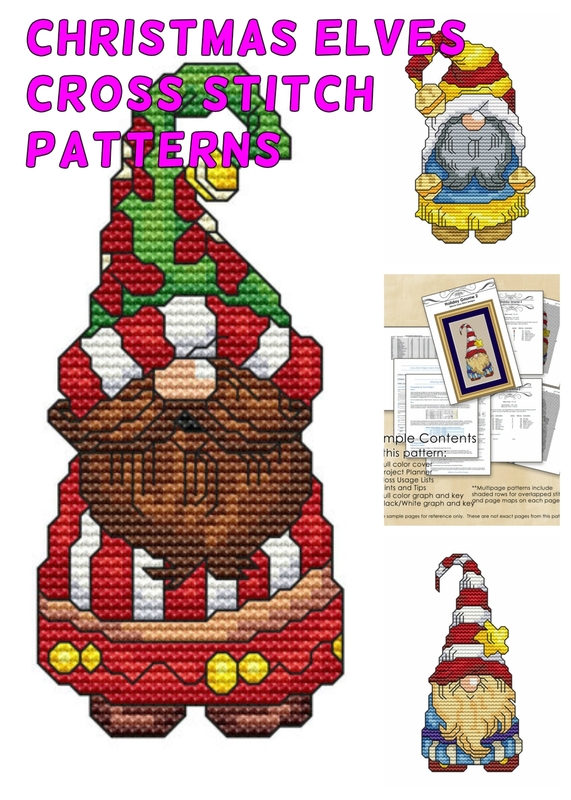 The tutorials for the Christmas elves cross stitch pattern are well explained in simple English. 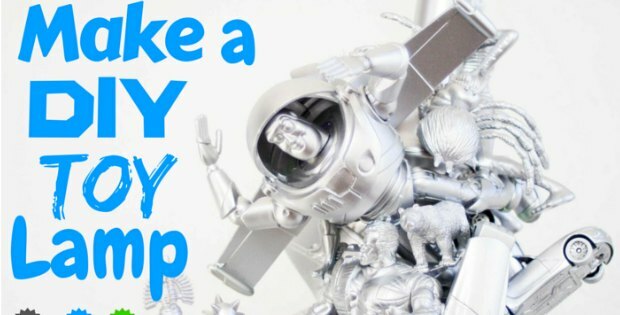 They are coupled with pictures and diagrams to show you exactly what you need to do. So whether you are a beginner or an intermediate, you are bound to end up with the perfect Christmas elves if you follow the layout. Also, the creator made sure to include explanations for complicated stitching terms; this will be very helpful especially for beginners. 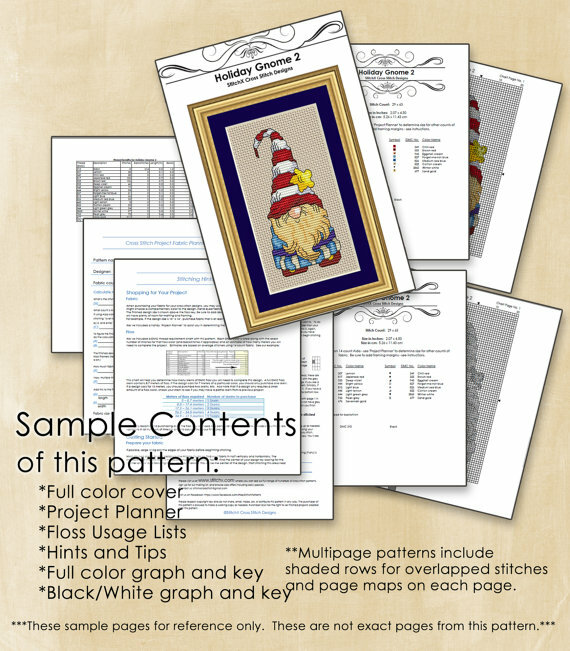 And the applications for the Christmas elves cross stitch pattern are endless. That is what makes them so enticing to me. You can give them out as gifts this coming Christmas. A way to pass on the Christmas spirit to friends and family. The best gifts are always given from the heart, and with these beautiful pieces, they are bound to know that you truly love them. 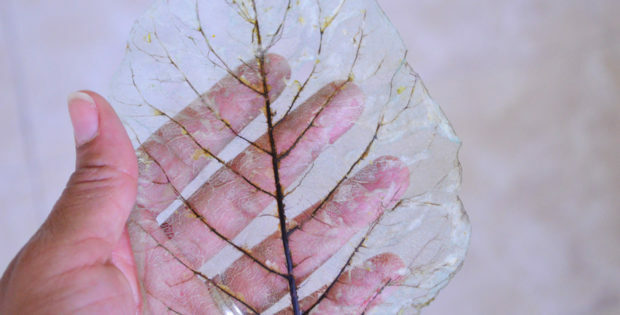 You can also set them out as part of your decorations for your Christmas party. The colors will stand out a lot, and they will attract a lot of attention I guarantee. Your creation will be the talk of the town for days after Christmas. Especially when you get to tell them that you made them yourself. 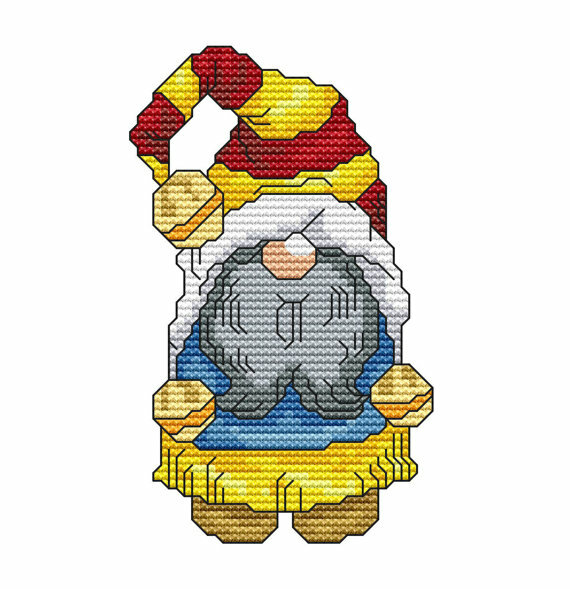 So to conclude, you should get the Christmas elves cross stitch pattern right now before Christmas rolls around. The pieces give an authentic and rustic ambiance that you will fall in love with not to mention anyone who gets one as a gift. So whether it is a gift or a decoration or just for everyday fun, the Christmas elves cross stitch pattern will not disappoint. In more elegant words, it is the dance of Christmas spirit on tapestry bound to be beautiful and bound to last.